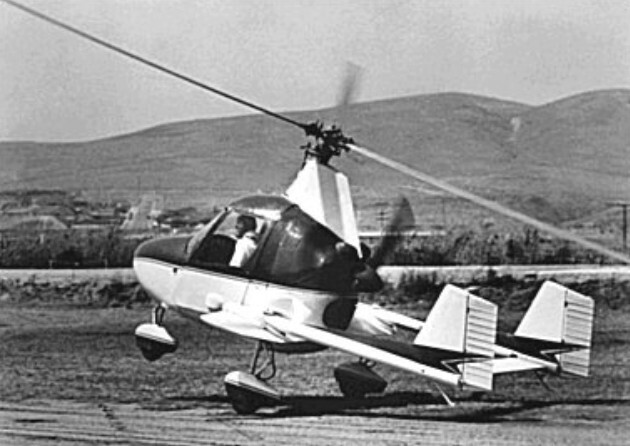 A two-seat light autogyro, the actual prototype J-2, designed by D.K.Jovanovich, first flew in June 1962. Deliveries of production aircraft began in 1970 and by early 1972 a total of 83 had been built. Power was provided by a 180hp Lycoming O-360-A2D engine. In 1974 Aero Resources took over production of the J-2 two-seat light autogyro from McCulloch Aircraft Corporation. A version known as the Super J-2 was developed from the J-2, powered by a 180hp Lycoming O-360-A2D flat-four engine. The J-2 has a Hughes 300 three-blade rotor system (wind-driven and inverted) and is powered by a 180 hp Lycoming pusher engine. This gyro is capable of a "jump" lift-off with the aid of its powerful pre-rotator. 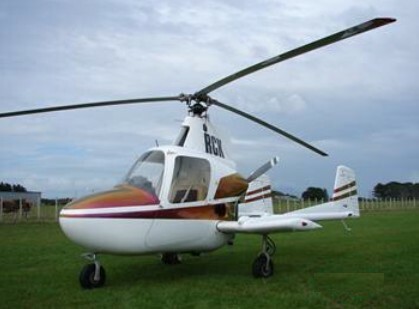 Aero Resources Inc assumed responsibility in 1974 for continued production of the J-2 gyroplane, designed by D. K. Jovanovich, and manufactured previously by McCulloch Aircraft Corporation. It also developed an improved version, with 200 hp engine, designated Aero Resources Super J-2. The J-2 is now classified as a Class 2 Microlight (it was a full C of A Aircraft) so can be flown on Microlight Gyroplane Licence. I am an ex US Army pilot and after a voluntary RIF in 1970 at the end of my second Vietnam tour emigrated to Australia. I worked for several helicopter companies there and was offered a position with Hawker de Havilland based at their Bankstown GA airport during the mid 1970s. HdH Had purchcased 8 J-2s and needed an experienced rotory wing instructor pilot for sales demonstrations and flight training. My first job was to draft a flight manual sylabus that satisfide The senior examiner. The first J-2 arrived with an instructor pilot who checked out HdHs test pilot who in turned checked me out. I then checked out the local rotory examinar who then signed me off as a qualified instructor. HdH mechanics outfitted a J2 with an extra fuel tank and I made sales demonstration trips from Melbourne in the south to the sheep stations in the Darwin area and on to the North west cattle stations. In 1971 I was a young fixed-wing CFI working for Bel-Air Aviation at Long Beach CA, the first dealer and school for the J-2. I had no prior rotor experience but was being trained to fly and instruct in the J-2. I had soloed the J-2 a few weeks earlier, and on 5/5/71 my boss and instructor Ken McGuire and I flew N4303G from Long Beach to Compton for more practice. We touched down in a light crosswind, and despite the slow speed I lost directional control and the aircraft rolled over on the runway. It was the third J-2 landing rollover accident in three months, which as I recall was almost half the fleet built to that time. FAA ordered modification to the J-2's nosegear, and that summer the company flew me out to the factory at Lake Havasu where I flew with Bill Evans in a modified J-2. I went to work for McCuloch Aircraft in 1969 and at the time the company was located in El Segundo,CA. At that time the J-2 was just undergoing it's final FAA certification and later on the entire operation was moved to Lake Havasu City, AZ. I was there for two years until they moved back to Gardena,CA and it then became Aero Resources. During my time in LHC I was doing the Flight Training and later became an FAA designated pilot examiner for Gyroplanes. I also was doing Production Flight Test and Experimental flight test for the company. I stayed on with the company until 1974 when they finally closed their doors. This was at the Van Nuy, CA airport. I think my total time in the J-2 was around 2200 hours. I flew the J-2 at the Paris Air Show and all over France. Also crossed the English Channel and did some flying in England as well. All and all it was a really fun aircraft to fly but had so many limitations when it came to performace. One of the biggest problems was the noise it produced. This really plagued the engineering department and nothing seemed to help. We had to wear special David Clark headsets and still the noise level in the cockpit was deafening. We did experiment with a 200 HP Lycoming engine and also a 3 bladed constant speed Hartzell prop. These improvement helped a little but in the end, it still did not have the desired performance. It had a very limited range with a lot of unuseable fuel left. The required distance for takeoffs was far more than acceptable. We were able to land in off airport locations but with the wood props it was usually an invitation to some major damage. The landing gear struts would some times remain extended or be uneven and this will make landing sometimes very exciting if you didn't expect it. We did develop several techniques that would enhance both the take and landing performance but was never able to get them certified.